A commercial hydrofoil partially sank on Thursday afternoon (Jun16) after it smashed into a pier on the Sicilian island of Stromboli. 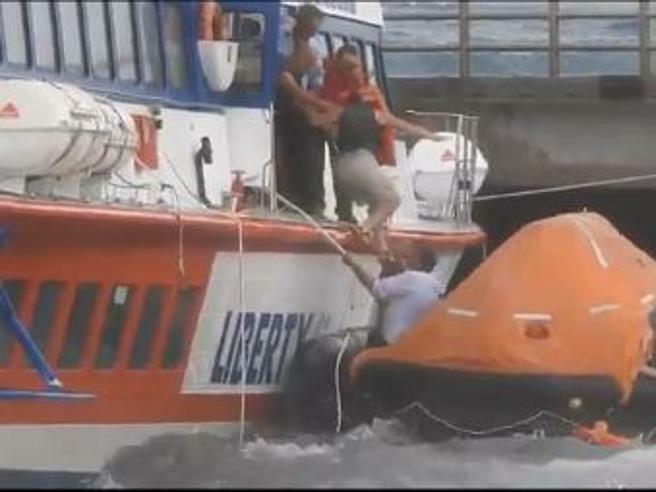 There were no reported casualties in the incident, with the boat's 117 passengers and six crew members all managing to disembark the craft safely, local media reported. The incident happened at around 4pm local time when the vessel, named 'Massaccio', came in to moor at the island's main harbour. Strong winds caused the docking manoeuver to go badly wrong and the boat slammed into a concrete pier. The incident was caused by the violent sirocco winds – which blow over Sicily from the Sahara desert.